Posted <2016-01-02 Sat 21:54> by Aaron S. Jackson. 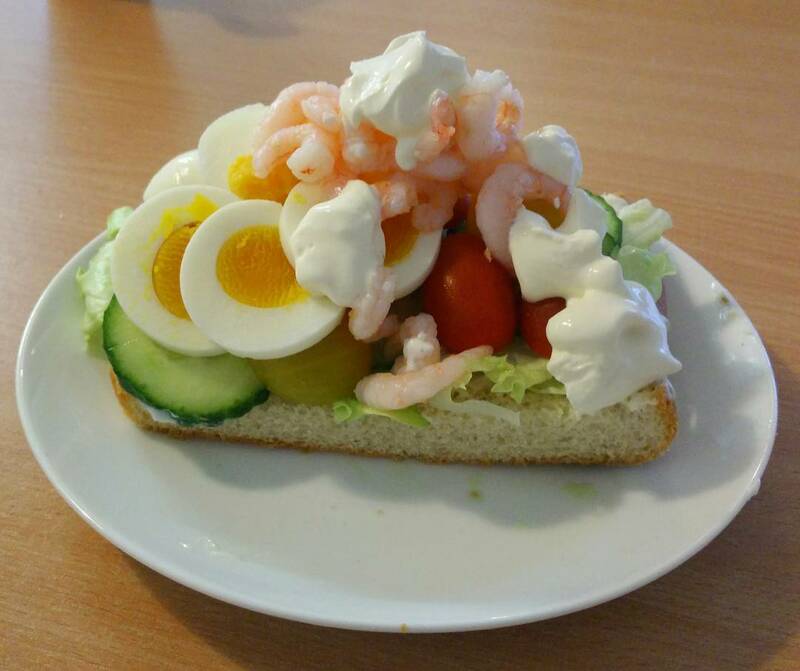 I guess it is a sandwich. Sort of. 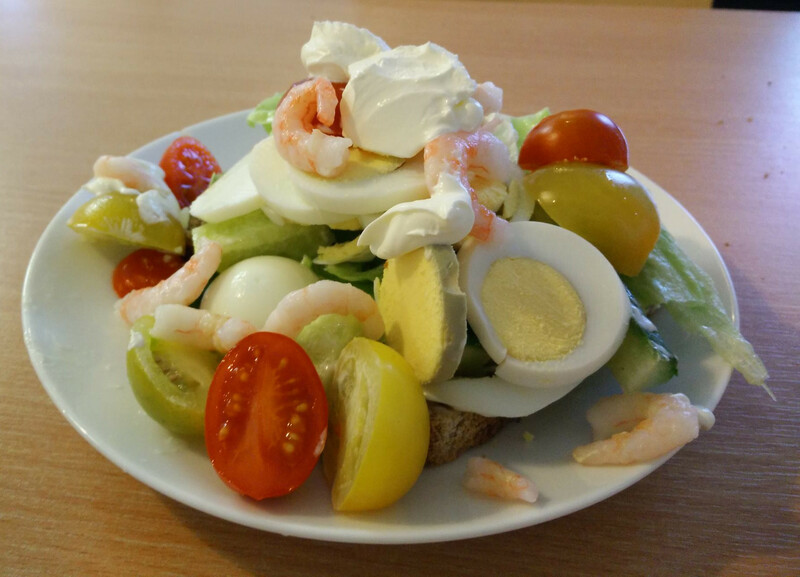 And to qualify for the "räk" part, it probably needs more prawns (räka is shrimp). Regardless, it was delicious. Also it looks pretty nice, so I'm sharing. I'm sure a Swede could do a better job of it though. I think I should have added some lemon slices to the top. Also, the egg was slightly over boiled, as you can see from the grey outside the yolk. <2016-01-03 Sun 13:06> Update: I made another one! I still forgot the lemon. This time it was on home made bread and structured a little better. Also, the eggs were not over done.